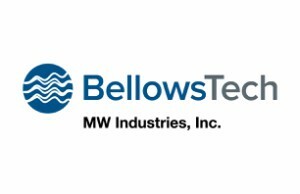 BellowsTech is a premier US manufacturer of edge welded metal bellows and assemblies, encompassing a wide array of alloys and dimensional configurations. The flexibility of material and size of metal welded bellows as well as application expertise, have led BellowsTech into industries including aerospace, medical, test, ultra-high vacuum, semiconductor, solar, and oil and gas. BellowsTech products are designed for high cycle life and low leak rates. Our welded metal bellows are engineered to allow for maximum flexibility in axial, angular and parallel offset motion, and provide a hermetic, all metal pressure barrier and seal that flexes in one or more direction. Designed and manufactured in Ormond Beach, Florida, BellowsTech edge welded bellows are offered in various sizes, configurations and materials to provide customers the flexibility to choose the best product at the right price. 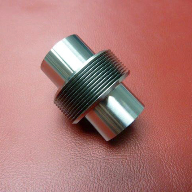 Choose from over 90 different diameters and sizes, and 14 material selections such as Titanium, AM350 Stainless Steels, Inconel and Hastelloy®. Products are tested and verified throughout the process to ensure a quality product is delivered. Registered to ISO9001:2008, BellowsTech focuses on customers, quality, and continuous improvement, and employs design engineers with experience in bellows and system technology. Our sales support staff is responsive to customer inquiries and day-to-day operations and our web shop is available for online purchases 24/7. In 2007, BellowsTech was acquired by Precision Manufacturing Group, LLC dba Servometer. Since 1957, Servometer has pioneered the manufacture of electrodeposited miniature metal bellows, bellows assemblies, contact springs, flexible shaft couplings and structurally rigid electroforms. Servometer miniature bellows are used in a variety of critical applications where high reliability and long-term use are required. Servometer has supported customers with quality products and technical service for over 50 years. 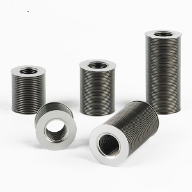 Their unique, patented electrodeposition process has led Servometer to become the leading supplier of miniature metal bellows manufactured by this method. BellowsTech and Servometer have a synergistic relationship to offer customers solutions. The technologies complement each other in size, compatibility, pressure and temperature limitations without sacrificing performance. The cross-over of engineering talent adds value and experience to ensure customers employ the right technology for their applications.